Smithsonian Conservation Biology Institute (SCBI) and Smithsonian Tropical Research Institute (STRI) scientists working together as part of the Panama Amphibian Rescue and Conservation Project (PARC) opened a new safe haven for endangered amphibians today, April 8. 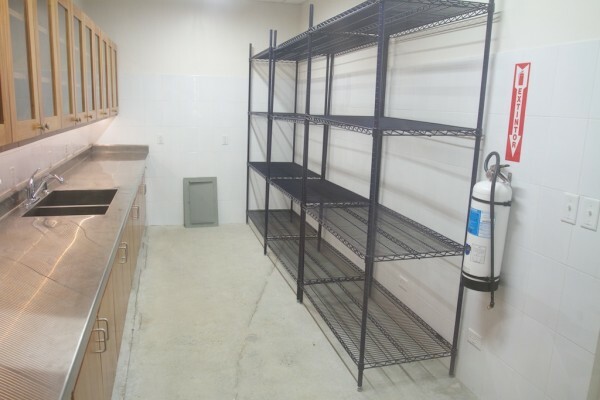 The state-of-the-art, $1.2 million amphibian center at STRI’s Gamboa field station expands on the capacity of the El Valle amphibian conservation center to implement a national strategy to conserve Panama’s amphibian biodiversity by creating captive assurance populations. Together these form the largest dedicated facility for amphibian conservation in Latin America. Panama is a biodiversity hotspot for amphibians with more than 200 species of frogs, salamanders and caecilians. For the past 20 years, however, many of Panama’s unique and endemic amphibian species have declined or disappeared as a result of the deadly chytrid fungus that has spread throughout Latin America and the Caribbean. In fact, a third of amphibian species in Panama are considered threatened or endangered. Amphibian conservationists around the world have been working to establish captive populations of the world’s most vulnerable amphibian species to safeguard them from extinction. The center features a working lab for scientists, a quarantine space for frogs collected from the wild and amphibian rescue pods capable of holding up to 10 species of frogs. In the working lab, SCBI scientists will continue research focusing on things like a cure for chytrid. Seven amphibianrescue pods house the amphibian collection and colonies of insects needed to feed them. Amphibian rescue pods are constructed from recycled shipping containers that were once used to move frozen goods around the world and through the Panama Canal; they have been retrofitted to become mini-ecosystems with customized terrariums for each frog species. The new rescue lab will be crucial to ongoing breeding efforts and breakthroughs, such as the successful hatching of an Andinobates geminisae froglet. SCBI and STRI scientists hatched the first A. geminisae froglet in human care in one of the amphibian rescue pods at the existing Gamboa amphibian conservation center. The tiny poison frog species, smaller than a dime, was discovered and described for the first time in Panama in 2014. They simulated breeding conditions in a rescue pod. The new facility will provide much-needed space to grow and expand, allowing them to build assurance populations for many more species. A small exhibition niche provides a window directly into an active rescue pod, where visitors can see rescued frogs and scientists as they work to conserve these endangered frogs. PARC is a partnership between the Houston Zoo, Cheyenne Mountain Zoo, Zoo New England, SCBI and STRI. 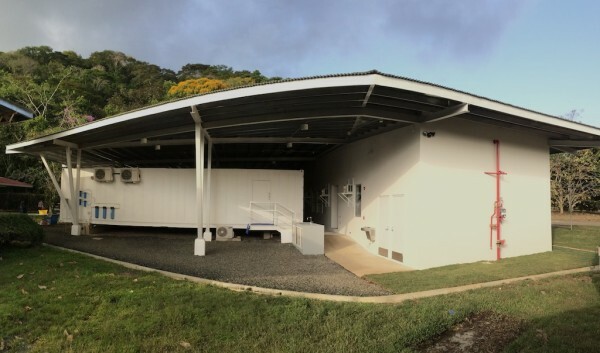 Funding for the new facilities was provided by Defenders of Wildlife, Frank and Susan Mars, Minera Panama, the National Science Foundation and USAID. As a research facility, PARC is not open to the public. However, there are interpretive panels and a window into the research pod where visitors can get a glimpse of the project in action. To learn more, the public is welcome to visit the new Fabulous Frogs of Panama exhibit at the Smithsonian’s Punta Culebra Nature Center, located on the Amador Causeway.